Challenge: In an effort to save time and minimize waiting, 'Belle', a service application, will allow fine dining customers to seamlessly preorder their meals before they arrive. 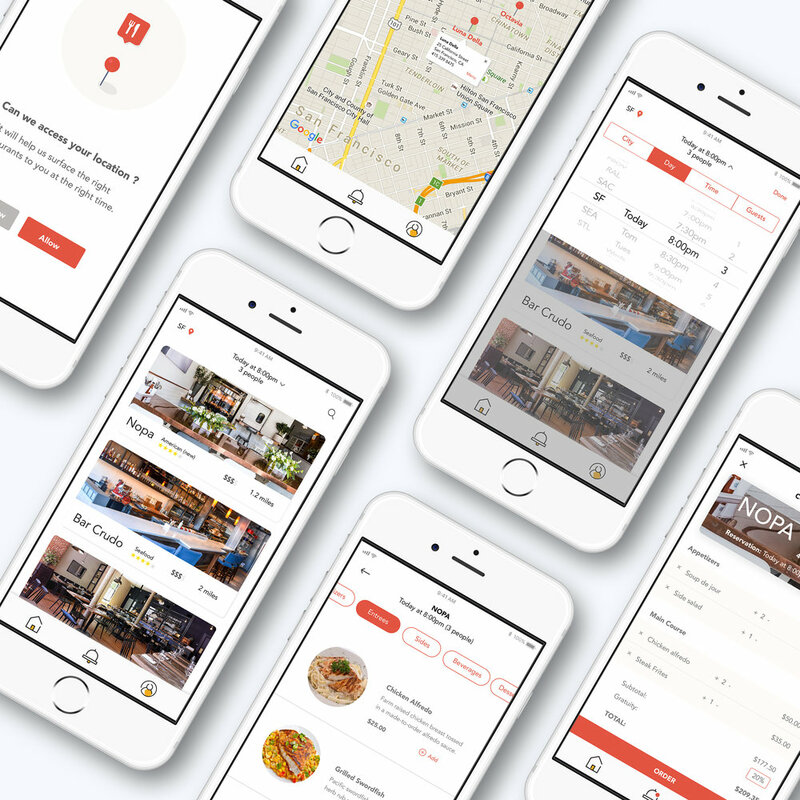 I am working closely with an entrepreneur, iOS development team, and investors to design the UX, visual brand and logo for a fine dining iOS application. After a few brainstorming sessions I got a better sense of Belle's vision and the white space it was seeking to fill in an already saturated marketplace. I created detailed wireframes which were used as a guide for our engineering team overseas. The wires were also used to get feedback and refine the customer journey even further. After landing on a warm, welcoming color scheme the logo was designed. Belle's logo represents a service bell and a fine dining food platter to encapsulate the app being 'at your service'.